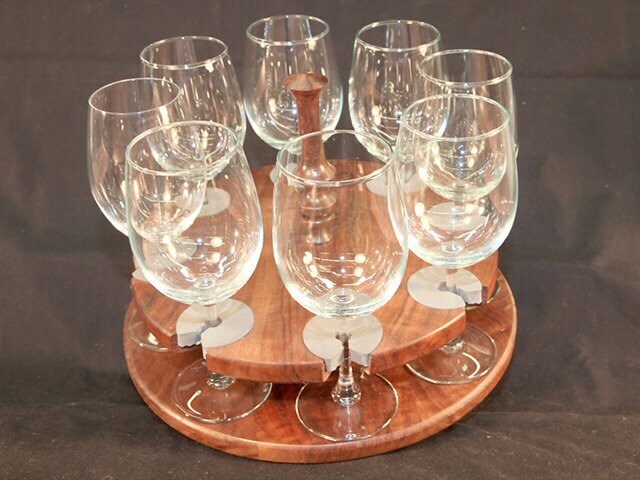 This unique wine glass caddy adds a decorative touch to entertaining and is a practical storage unit and transporter. It reduces breakage as well as organizing your stemware. Additional glasses (6 each) to fill Caddy $12.00.